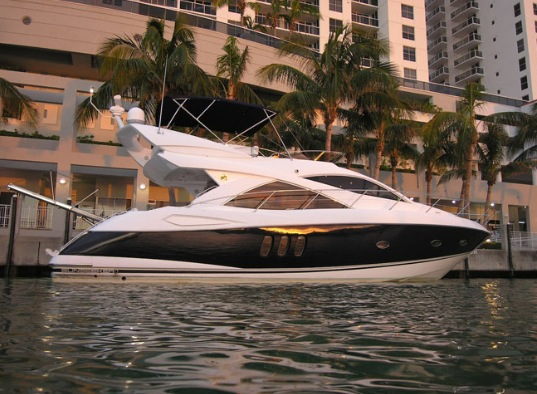 If style and luxury are what you are looking for in your next luxury charter yacht rental, then the Sunseeker Manhattan has everything you need. The vessel itself is stunning upon first glance. 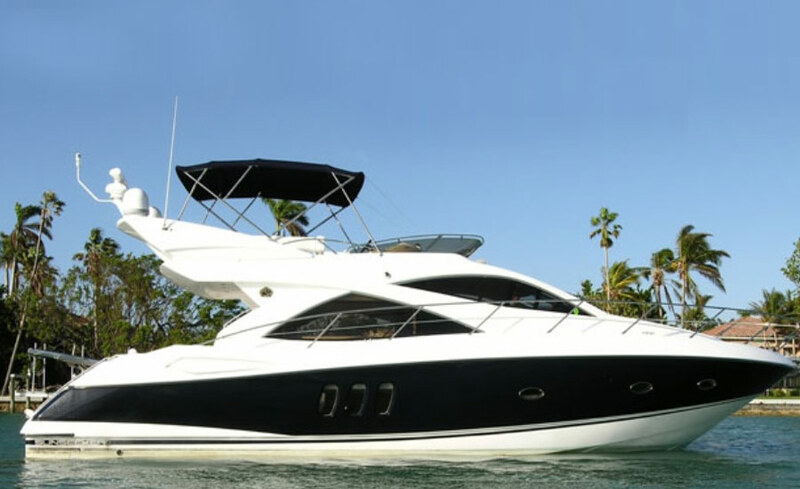 It boasts a roomy swim platform on the stern in case you need to cool off from the Florida sun for a few minutes. Even higher up on the flybridge, there is a seating area for you and your guests to get a bird's eye view of the pristine Florida waters. Once inside, you will notice the interior is bathed in opulence. Lounge on one of the sectional sofas and watch television in this spacious area. From there you can wander into one of the staterooms in order to explore your sleeping quarters. You will easily forget you are on a yacht when roaming every inch of this luxury apartment on the water. No expense was spared when creating this seaworthy masterpiece. 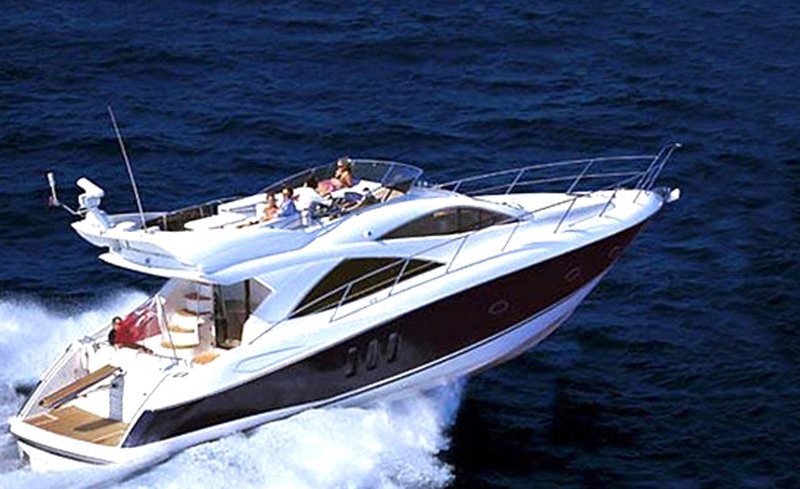 Onlookers will stare in envy at your gorgeous yacht as you cruise by in style and decadence. Make sure you contact Elite Luxury Services in order to turn this dream into a reality. Their vast selection of luxury charter yachts will surely include your next adventure.